Summer is unofficially here! 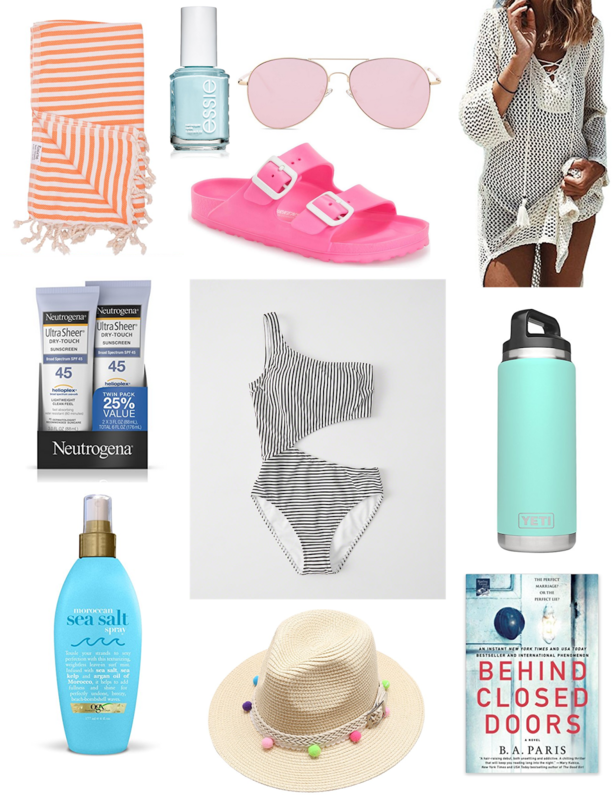 Today I'm sharing what I keep in my bag when heading to the splash park or to a pool outside of our own backyard. The boys are happiest in the water, and sunshine and pool time is the magic combination for busy days and early bedtimes. One Shoulder Swim Suit: Oh how I love this suit. It shows just the perfect amount of skin while still being solidly and snugly in place while chasing the kids around. Give me all the stripes. Crocheted Cover Up: I found this pretty crocheted cover up and it quickly became my favorite. 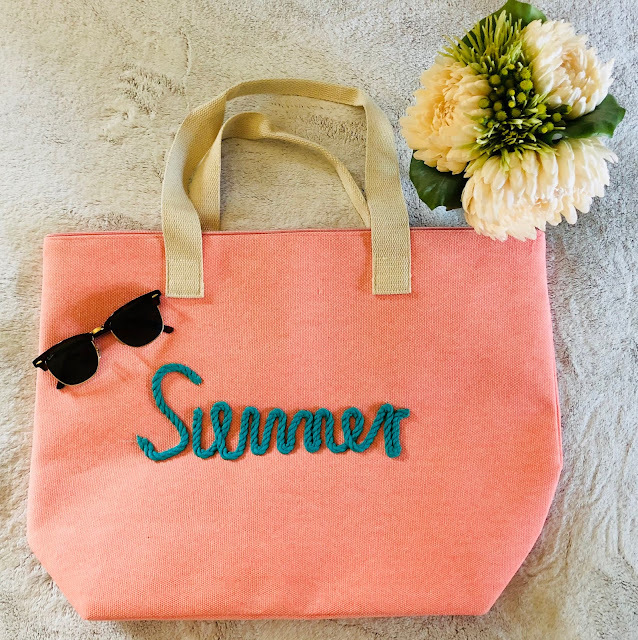 Turkish Beach Towel: I love Turkish towels to take along to the beach or pool the most. They fold so nicely and take up such a small amount of room, but are still absorbent and comfortable to lay out on. Essie Nail Polish: I’m obsessed with this color for summer and have been wearing it on both fingers and toes. Sunscreen: This one is my favorite one. I’ve found that sprays discolor my suits and wear out the elastic. This Ultra Sheer formula goes on thin and smooth and absorbs in an instant. Behind Closed Doors: This one is on my summer must-read list. A perfect thriller to take to the pool. Sunglasses: I have this cheaper pair to toss into my beach bag. Still just as cute as my nicer pair, but not a big deal if they get lost, bent, or broken. Slide Sandals: These sandals are AMAZING. Perfect for getting wet and dry off almost immediately. So many fun colors to choose from. Water Bottle : Everyone knows and loves the Yeti. This one keeps water ice cold for hours on end. Sea Salt Spray: If you have finer hair, this is a MUST HAVE product. I rinse my hair with clean water after being in the pool, towel dry, and spray this in. It creates the best texture and fullness. Pom Hat: How cute is this? A perfect hat to keep the sun out of your eyes for a great price.